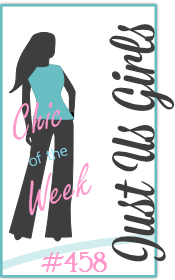 I am so excited that MyGrafico is up and running again and we are getting back into the swing of the weekly challenges! So to celebrate the Design Team is having a party!! Here are all of the details - you won't want to miss a thing. 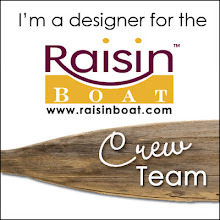 Today is our first Design Team blog hop. So, if you arrived here from Cassie's blog, you're on the right track. If not, you need to go to Martha's blog. 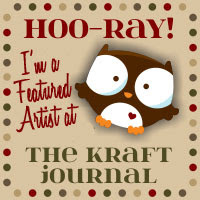 Then follow the hop and be on the look-out for a letter to be highlighted on each blog you hop to! 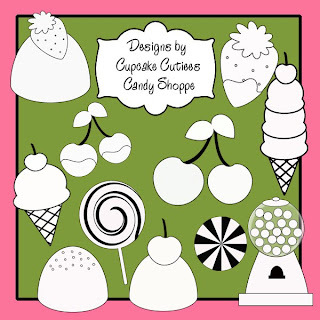 You want to leave a comment on each blog along the way for a chance to win an image from the Candy Shoppe set (see below) AND you want to collect the letters to create a phrase. Once you know what the phrase is, you want to email your guess to mccreations@ymail.com by 10:00 pm (PST) tonight and you might just be the winner of the entire set! Here's my card for this week's kick-off celebration! The challenge is to use a sweet image (MyGrafico, preferred) and the colors red, pink and green. I created this card by printing the image in two different sizes onto Neenah white card stock and colored with Prismacolor markers. Then I took a heart shaped doily and folded it so that it appeared to be a fancy fold napkin. The smaller strawberry is adhered with pop-dots. Then I added a ribbon and a sentiment created from the Unity June KOM. My base is Pink Pirouette, but I think I got my lighting a bit strong and it washed that color out. Your next stop on the hop is Mary so be sure to see what Candy Shoppe confection she has for you! WEDNESDAY: YOU create a sweet card, you might just win Back to School. All kinds of fun planned so be sure to check back often! I will post reminders through out the week of each day's activities so you have lots of chances to win! Thanks for stopping - now HOP along! Terrific card and really like the lace !! Oh this is a fun and different hop! Hmmm...I wonder what your letter is. LOL! I am going to hop quickly before the kiddos wake up, thanks for the sweeeeeeet card Mel! They look perfect on that doily. It reminds me of the chocolate strawberries I got for V-day. 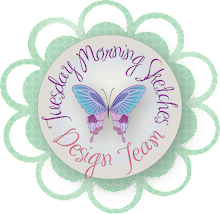 :D There's so much going on this week in the stamping/digi world - what an exciting way to start Fall! Yummy! This set is so great and your card is so cute! Thanks for the clue! Anything dipped in chocolate is yummy! Your card looks good enough to eat! I love chocolate strawberries! Your card is so pretty with the lace background. 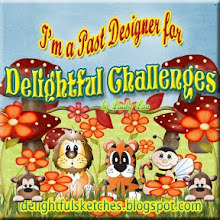 Having fun and loving all your creations! Nice berries! Oh the lace is a pretty touch! Very yummy looking card. Thanks for sharing. Yummy card Mel!! 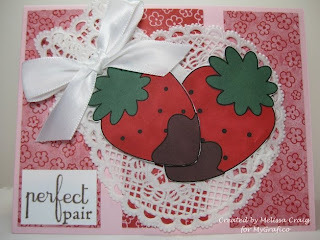 Love the strawberry image and how you used the doily! That is a sweet card!! Strawberries and chocolate...my FAV!! Beautiful card! Love the lace! I love those great big strawberries... Makes me want one! love your card, this is a great blog hop! Hi, Mel. Love your pretty card. The lace in the background is a nice touch! MMMMM Strawberries! Where's the whipped cream!